Eight patterns to make a collection of delightful little Christmas creatures – choose from reindeer, mice, a penguin and even some cute Angel Pigs for all abilities from beginner to the more experienced. The projects are shown below and they all include full material requirements, illustrated instructions and full-size templates. And, as it’s Christmas, and Christmas is a time for giving, when you purchase your Christmas Creatures (or any other Christmas pattern collection) we will give you another book – our collection of Christmas traditions, recipes, poems and more besides. Please remember, this is a digital book and you won’t receive anything in the post. 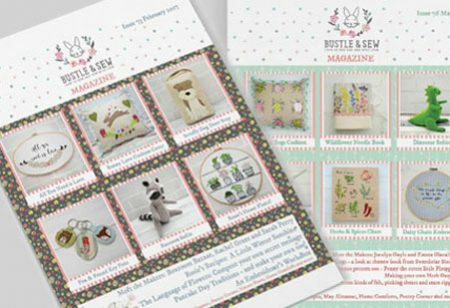 You will receive an email with a download link for the easy to use pdf file as soon as payment has been processed so you can start stitching straight away!